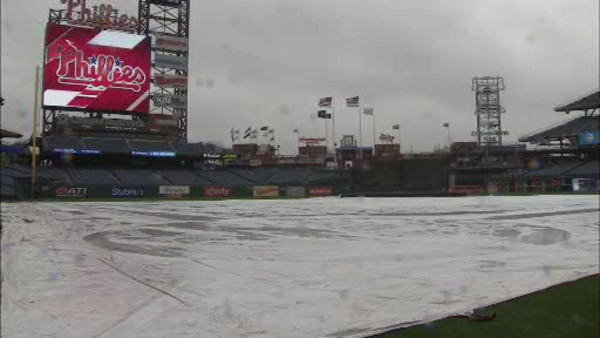 PHILADELPHIA (WPVI) -- The Tuesday night game between the Philadelphia Phillies and Miami Marlins has been postponed due to rain. Game time was set for 7:05 p.m. at Citizens Bank Park. The Phillies say details for the rescheduling of the game will be announced at a later time. The Phillies and Marlins play again on Wednesday at 7:05 p.m. and Thursday at 1:05 p.m. The schedule then sends the Phils to the West Coast after these home games.